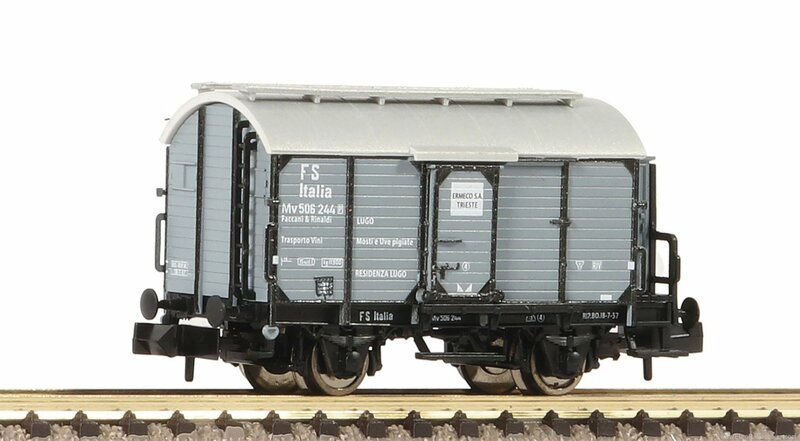 Wine barrel tank wagon of the Italian State Railways FS. Epoch II. Model with two moveable sliding doors and wine barrel replicas. Coupler pocket according to NEM 355 standards and close coupler motion link.